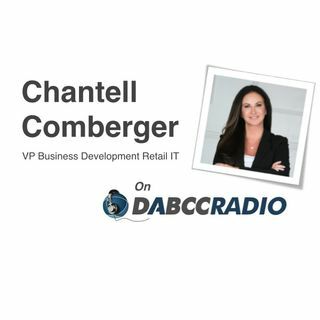 In episode 305, Douglas Brown interviews Chantell Comberger, VP Business Development Retail. Chantell shares her 18 year Retail IT experience, her experience deploying and managing end-points to over 30,000 devices in 5,000 global location while all being managed by 1/2 a person a month. #WOW! I’ve been in Retail for over 18 years having worked for a Global Fortune 500 Company. I managed teams that led transformational efforts ... See More of technology in over 5000 stores and 9 configuration centers globally. From PoS hardware, peripherals, infrastructure. I had a highly distributed environment to standardize, manage, and ensure compliant while reducing cost. Before DABCC, Doug worked at Citrix Systems, Inc. as a Senior Systems Engineer from 2001 to 2004 where he developed the leading Citrix deployment system, “Methodology in a Box”, which has more than a million users. Additionally, his peers and management at Citrix named Doug Systems Engineer of the Year in 2002. From 2005 to 2016, Doug was awarded the Microsoft Most Valuable Professional (MVP) by Microsoft Corporation for his contributions to the industry. He has also been acknowledged with the Citrix Technology Professional (CTP) and VMware vEXPERT awards for his continued support in the IT community. Doug speaks at leading industry events and has been a prolific author over the past 20 years.